The Implicit Association Test (IAT) identifies subconscious attitudes and motives of people by measuring the level of automatic association that an individual has between different mental concepts (e.g. slim and large) and evaluations (e.g. like or dislike) or stereotypes (e.g. active and lazy). It achieves this by monitoring how quickly people can sort words, images or sounds into categories on each occasion they experience (or are primed) with a stimulus (e.g. a brand logo or product image). 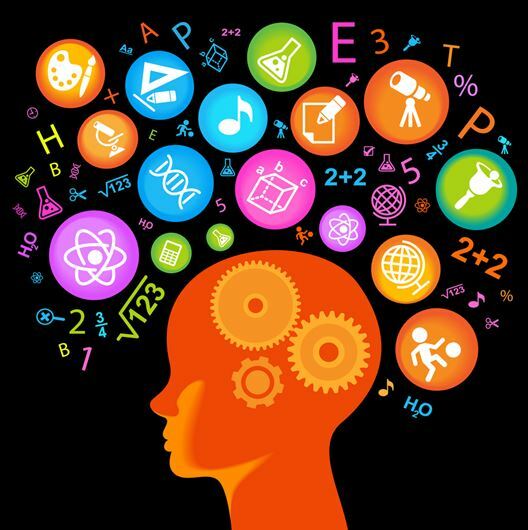 The IAT works because priming a person with an image, sound or word triggers a process in their brain that makes that concept easier to access as it improves cognitive processing. This enables researchers to identify strength of feeling because it measures how each prime affect mental processing speed and accuracy. The test achieves this by getting respondents to quickly sort words into one of two categories shown on the left and right hand-side of a computer screen. This involves using the “e” key to indicate if the word is more strongly associated with the category on the left and the “I” key if it is perceived to relate to the category on the right. The IAT often involves between five to seven stages. The first stage requires respondents to sort words relating to the concepts (e.g. risky and low risk) into categories. 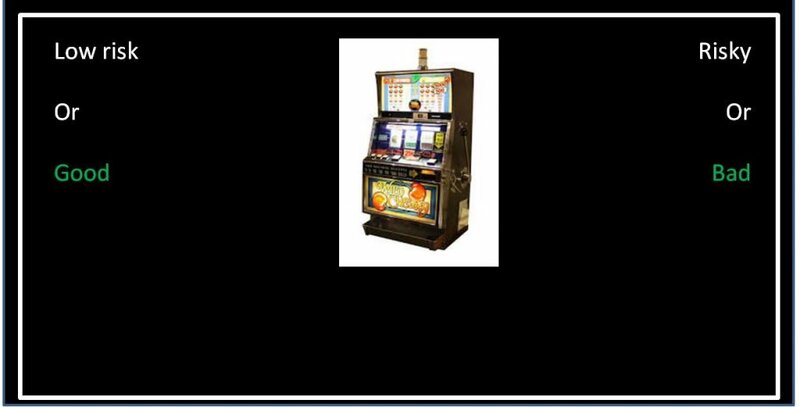 So if “risky” is on the left and an image of a slot machine appears, the respondent might press the “e” key if they associate slots with taking risks. In the second stage of the test, respondents sort words relating to the evaluation (e.g. bad, good). Thus if the category “bad” is on the left and a word like “lottery” is shown on the screen, you might press the “e” key. The third stage of the IAT involves combing the categories together and respondents are asked to sort both concept and evaluation words. For example the categories on the left hand-side might be risk/bad and the categories on the right would be low risk/good. The order of the blocks are randomised for each participant so that some respondents will see Risky/Good, Low risk/Bad first. In the fourth stage of the test the concepts are reversed so that if the combination “Low risk/Good” was previously on the left, it will now appear on the right. The number of repetitions in this part of the test is increased to minimise the influence of practice. In the fifth stage the elements are combined in the opposite way to how they were previously presented. If the category on the left had been “Low risk/Good”, it will now be presented as “Low risk/Bad”. The IAT score is calculated by comparing the average time it takes a person to sort words in the third stage of the IAT versus the fifth stage of the IAT. A person would be identified as having an implicit preference for low risk relative to risky behaviour if they are quicker to categorise words when Low risk and Good share a response key and Risky and Bad share a response key compared to the reverse. This is a variant of the IAT and is identical to the IAT except that one category is missing. Let’s take the example of SC-IAT to measure attitudes towards gambling. In one block, respondents press the left key for negative words or pictures and the right key for positive attitudes or gambling stimuli. In the alternative block, participants press the left key for negative attitudes or gambling stimuli and the right key for positive stimuli. If respondents are quicker in the latter than the former, this suggests they dislike gambling. The GNAT is very similar to the IAT in that respondents see two categories at the top of the screen (e.g. Risk or Good words). However, participants press the space key when they react to a stimulus that is associated with one of these categories, but do not press a key when the see a stimulus that they do not associate with those categories. The GNAT is though flexible in determining the contextual bases for the evaluation of a category. The IAT requires that an attitude towards one category (e.g. dogs) is evaluated against a second category (e.g. cats). With the GNAT though, you can decide whether cats are evaluated in the context of one category (dogs), a superordinate category (animals), a generic category (pets) or with no context at all. This test is a combination of the IAT and the GNAT. Respondents are presented with two categories (e.g. dogs and cats). They press the right key when they see a stimulus that is associated with one of these categories, and the left key when they see something that is not associated with either of those categories. To allow the test to be completed in around a minute the BIAT can use just two response blocks of 20 trials each. The IAT helps marketers understand user’s true motivations and attitudes. This allows us to develop content that is more emotionally engaging and psychologically persuasive. If combined with traditional research we can ensure that content contains a strong link between the rational and implicit reasons for purchase. This kind of research enables marketers to identify the needs, interests and expectations of individual customer segments to allow for more effective targeting of marketing campaigns. This can potentially lead to more emotionally engaging campaigns. A growing range of companies are now offering IAT’s to probe the non-conscious mind of the consumer. This includes neuroscience based agencies such as Sentient Decision Science and The Implicit Testing Company. But there are also marketing consultancies such as Beyond Reason. The IAT is an important implicit method of research because it enables brands to measure psychological motives and attitudes in a scalable and accurate way. As neuroscience studies have shown, a majority of decisions are made by the sub-conscious brain. This means we should not rely on traditional methods of research, such as focus groups and surveys, to identify underlying drivers of behaviour. The IAT offers the ability to measure such implicit motives and so there is no excuse to continue to use old-fashioned and flawed methods of research. Implicit research – How do you measure customers’ sub-conscious motivations?